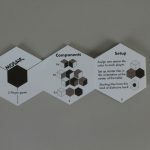 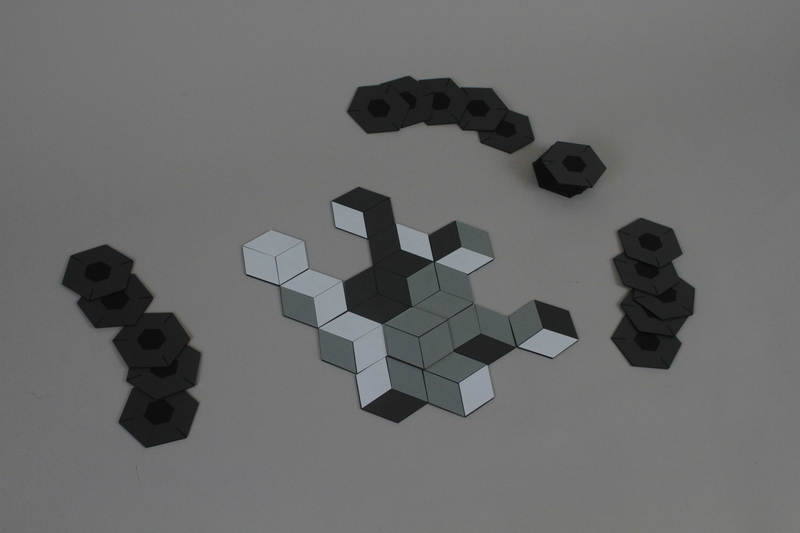 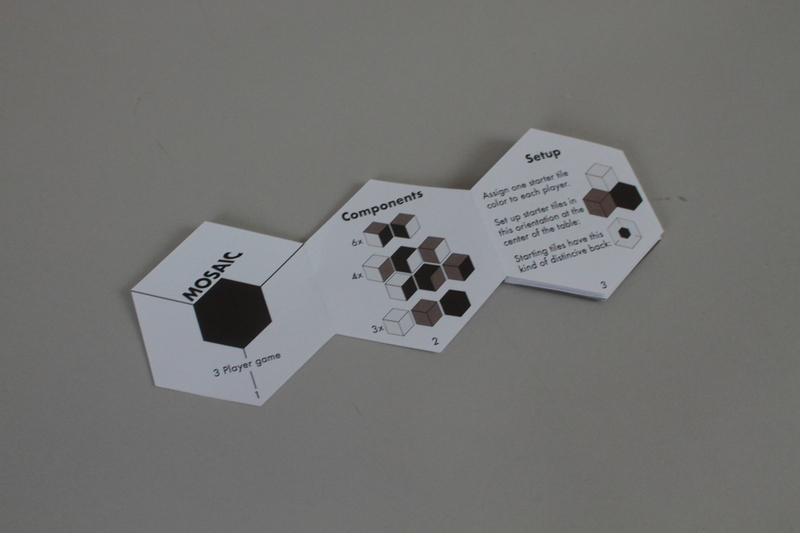 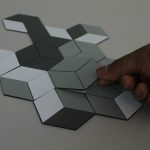 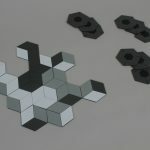 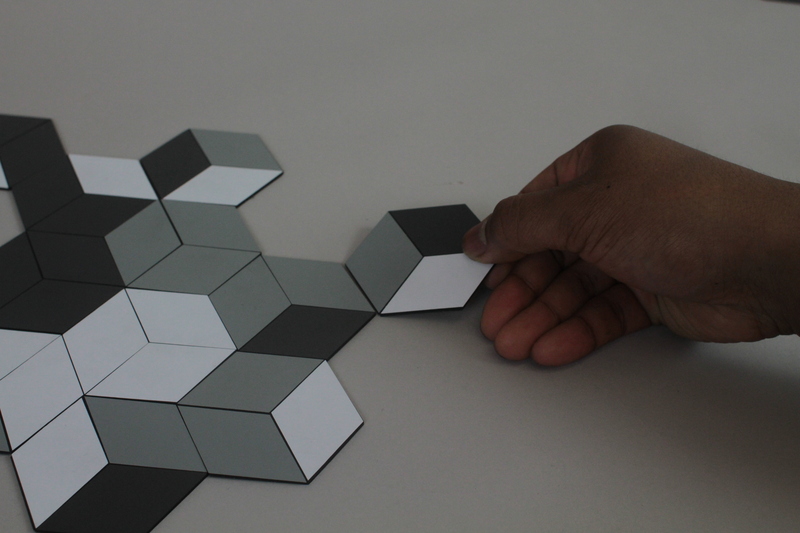 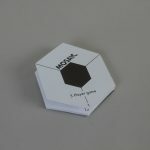 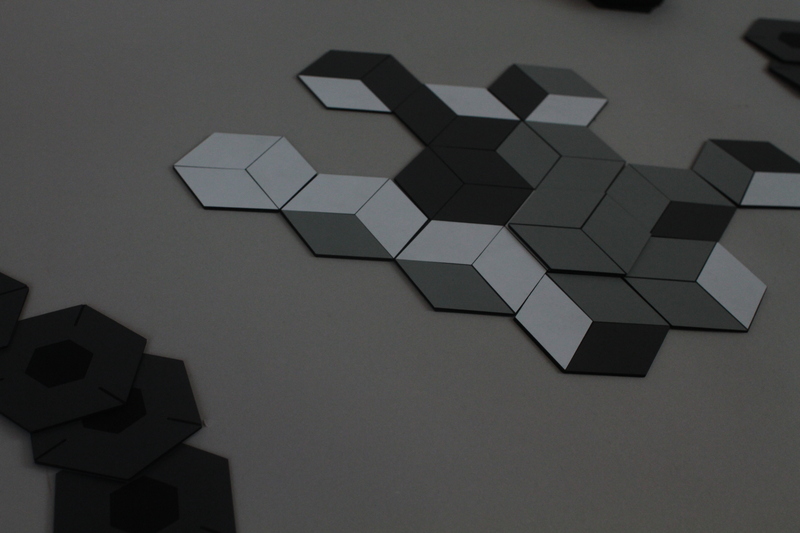 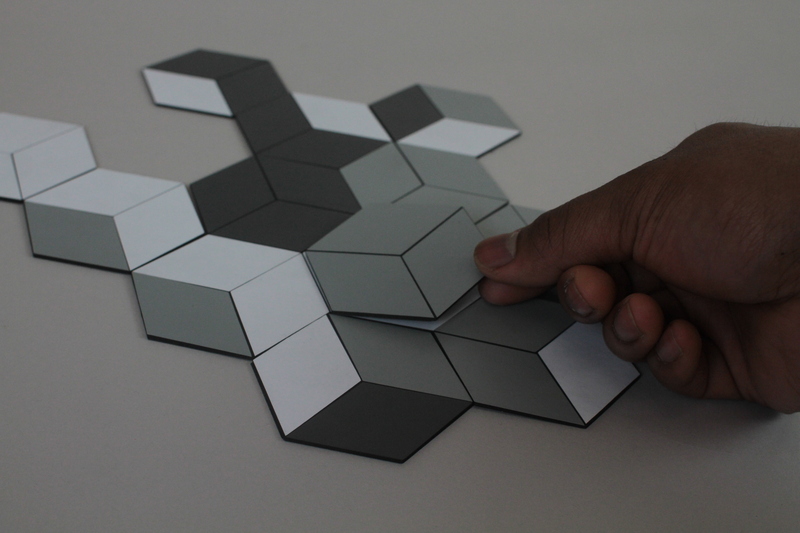 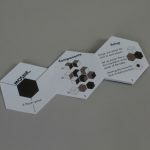 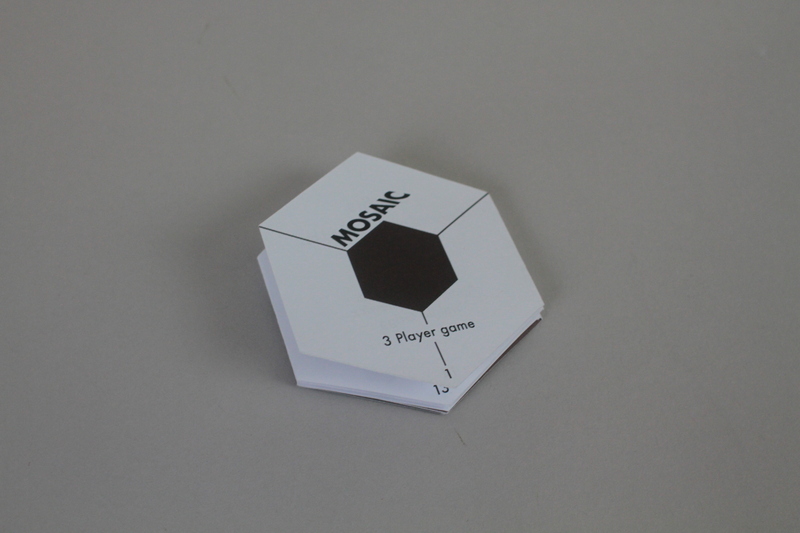 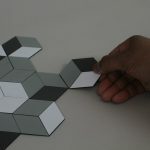 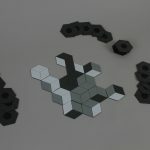 Mosaic is a three player board game that involves hand management and tile placement. 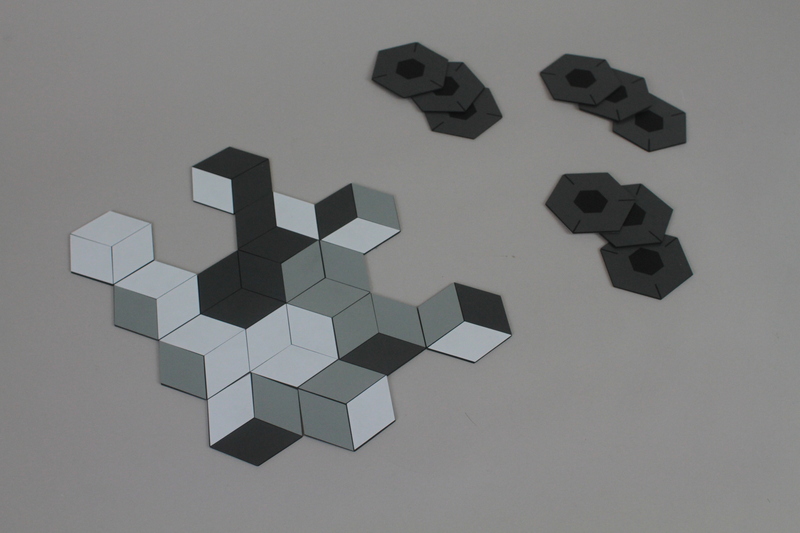 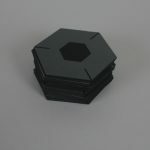 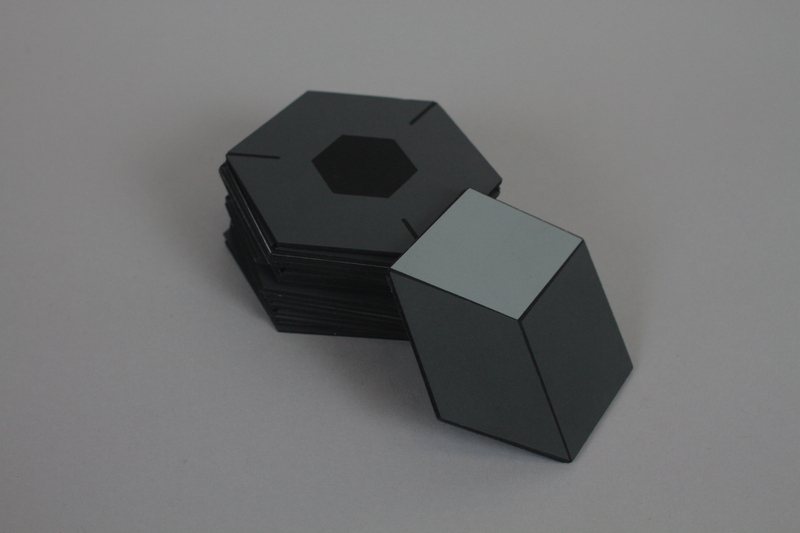 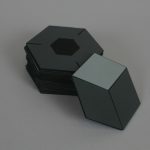 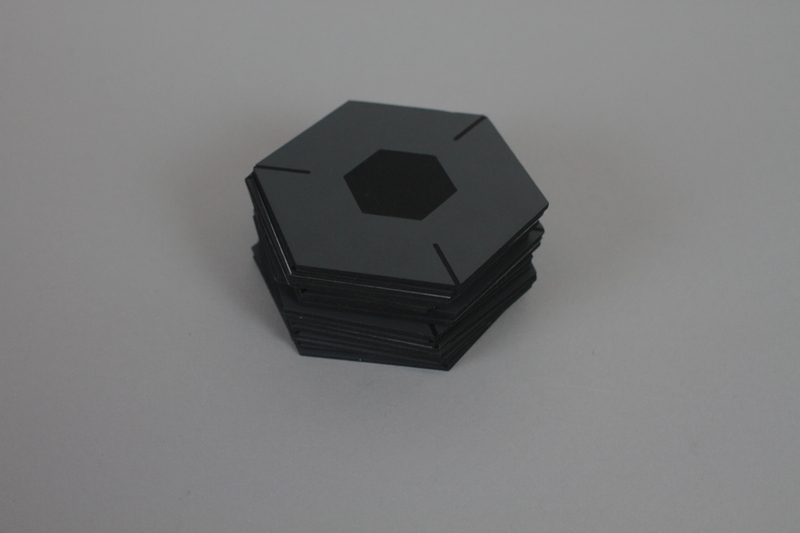 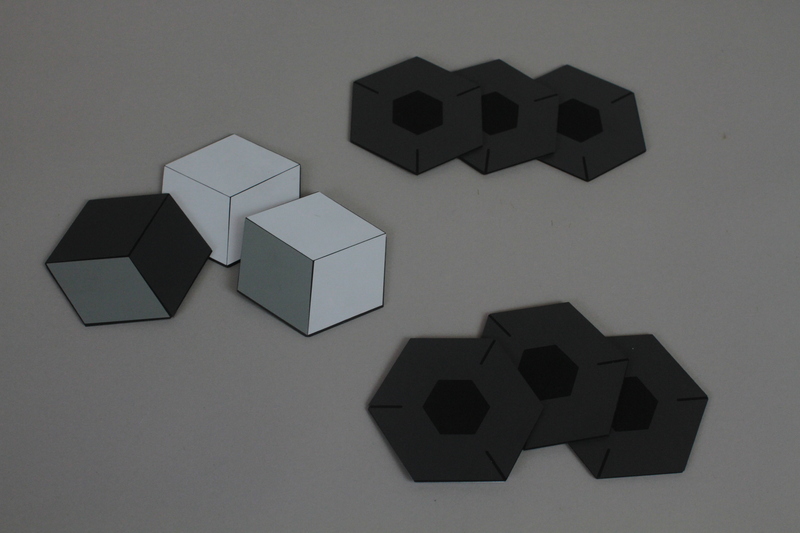 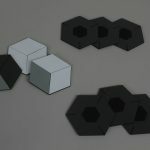 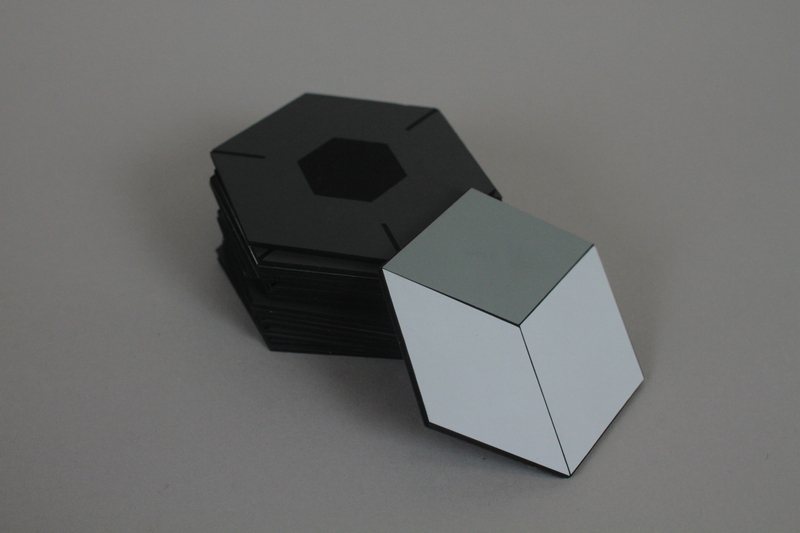 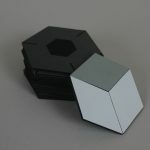 The game consists of 45 different hexagonal tiles that creates the illusion of three-dimensional cubes with its monotone color pallet. 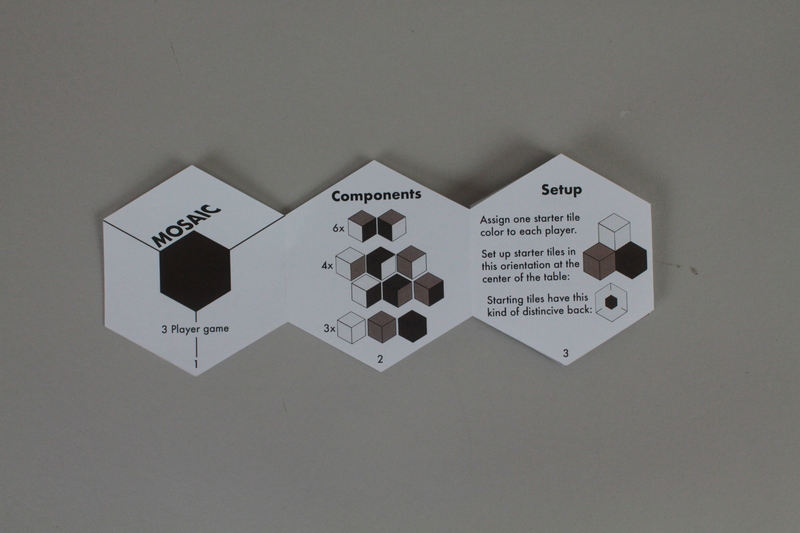 The game was inspired by the impossible architecture of M.C. 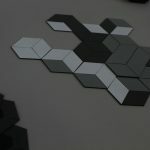 Escher and the idea of an objective orientation for the game board.